Wheelchair and handicap access available in all levels. Assistive listening devices are available upon request. 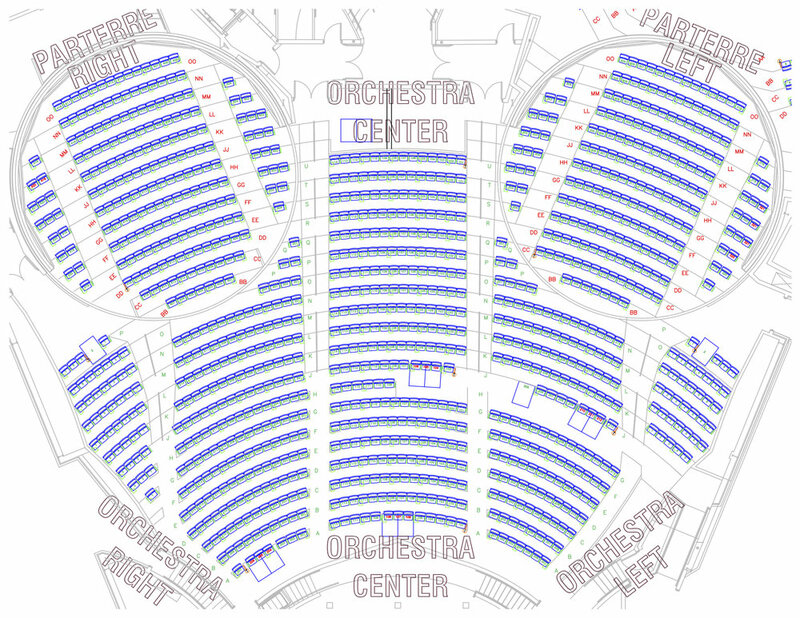 The Concert Hall has multiple configurations. Both parterres are rotating rooms where the floor and the walls spin to face away from the stage. This allows for smaller events to have an intimate setting while still taking advantage of the full stage. When the parterres are facing away from the stage, they also become alternate meeting spaces in the form of a Recital Hall and a Lecture Hall.